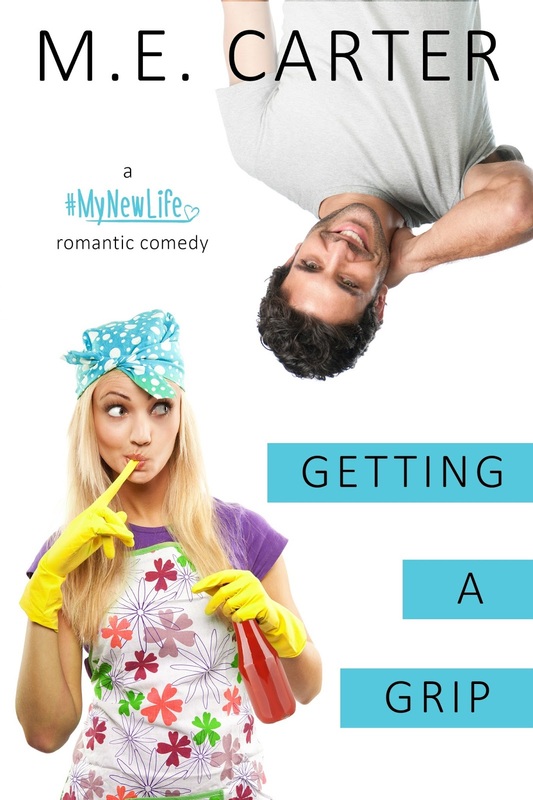 Balance Check is the sequel to Getting a Grip and is the second book in the #MyNewLife series from M.E. Carter. This picks up about nine months after the end of the first book, with single mother Elena Monroe now moving on after the guy she had fallen in love with moved away in order to live closer to his daughter. She's got a new job, one that she actually likes, and she's even got a guy who's made it clear that he's interested in taking her out on a date (though his being a twenty-five-year-old does give Elena pause). Things are moving forward, as they should, when who should make his presence known but one Greg Brady. Yep, the same Greg who still owns Elena's heart. The clincher? Greg's been back for longer than she thinks, and he's moved (back) because of his daughter Peyton (again). He had his reasons for not getting in touch with Elena once he knew he was going to be back, but you know what they say about well-laid plans. Now, she's angry and doesn't know if she wants anything to do with him, leaving Greg to try and figure out what he needs to do in order to show Elena that this go around, he's all in. Learn more about M.E. Carter. Purchase Balance Check on Amazon | B&N | iBooks | Kobo.